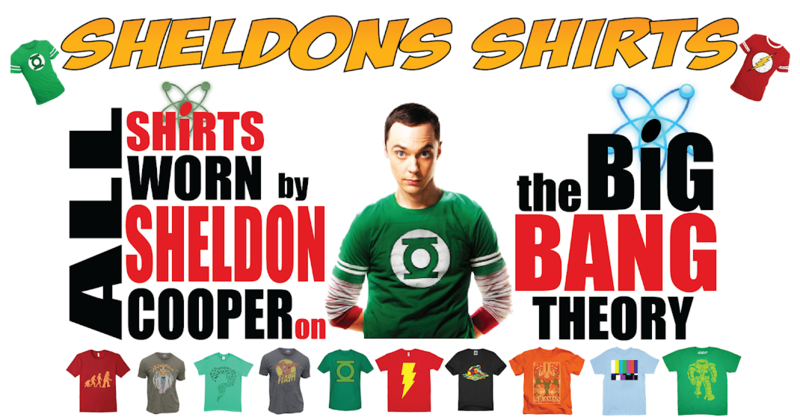 In this shirt, Sheldon once again lets go of his of his muggle-side and lets his warlock fly. This is a t-shirt featuring the Hogwarts Express from the Harry Potter film and book franchise. 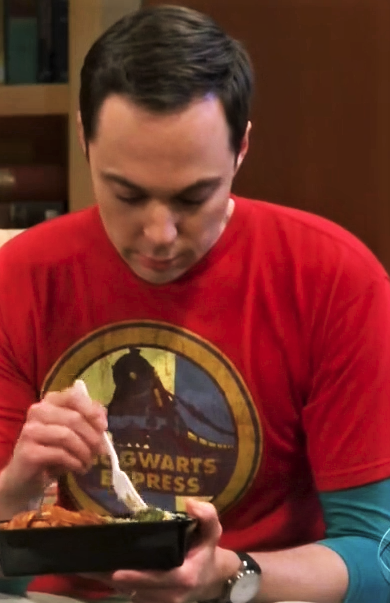 At the moment, I've sadly yet to find this shirt. But until I do, below is a slightly less cool (but still pretty cool) one to hold you over. Also, if anyone has any idea of where to find a good replica, let me know in the comments below.